ALTON, Illinois — On a convoluted course that hugs the Illinois bank of the Mississippi River, a slinky coupe variation of Honda's venerable Accord series revealed to us that it likes to fly down a fast lane and rip through a wiggly set of curves. Wait a minute — a Honda with a taste for ripped-up asphalt? Well, if the definition of a "sporty" vehicle means sharp throttle response and an aggressive attitude when tackling tight-fisted turns, then, yes, Honda does indeed finally build a sporty Accord. Talk about turnabout. The Accord, which has worn a "best seller" label for years, had grown so homogenized in style and performance that it evolved into a nebulous entity far removed from the sport side of performance. 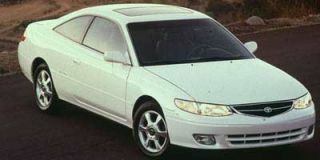 But the current edition of the Accord, as reinvigorated in 1998 with its sixth, largest-ever platform, exhibits athletic characteristics worthy of our attention — and worthy of a slinkier two-door form. The new Accord coupe looks completely different from the sedan, and for most eyes that’s a good thing. Cast with an assertive wedge-shaped profile that pitches the nose low and tail high, the Accord coupe displays clean and strong lines and a sharp rake to the broad windshield that gives it a fluid, seamless shape. 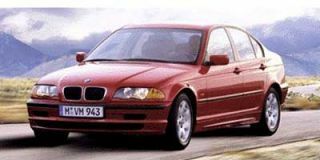 It’s such a departure from the sedan that the only shared exterior parts between the two- and four-door versions are the side-wrapping front headlamps and side door handles. Besides its more rakish lines, the Accord Coupe gets a shorter wheelbase (chopped by 1.8 inches) and one of two beefed-up engines — including the coupe's first V-6. The chassis is stronger to improve performance and enhance overall ride quality, too, and on the inside, the passenger compartment measures longer and wider and taller than previous two-door Accords. Sparking its active personality, the Accord coupe draws from one of two high-tech aluminum engines, a four-pack and a six, both larger in size and power than previous plants and outfitted with Honda's sophisticated VTEC wizardry of valve control. 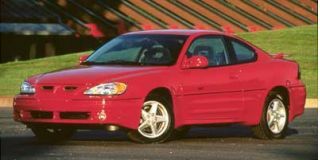 The 2.3-liter four-cylinder engine, with a single overhead cam, puts out 150 hp while also hitting as high as 30 mpg. Too, this engine scores for certification in California as a Low-Emission Vehicle (LEV), and, when linked to the optional four-speed automatic transmission, becomes the first mass-produced gasoline engine to conform to the state's strict ULEV (Ultra-Low Emission Vehicle) rule. A notchy five-speed manual shifter, standard with the four-cylinder engine, hones the sporty nature of this coupe. 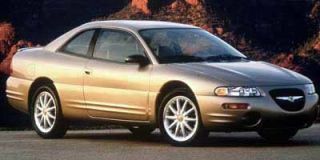 The EX-only V-6, pushing 3.0 liters with single cam and VTEC controls, soars to 200 hp and connects strictly to an automatic four-speed shifter. It, incidentally, comes out of Honda's Ohio engine plant. We tested out the sporty nature of the Accord on a traffic-free autocross at Gateway International Raceway, across the Mississippi River from St. Louis, and found all the right ingredients for a performance-minded personal sedan that just happens to have two doors. The Accord snaps quickly to a swift clip with satisfying acceleration. 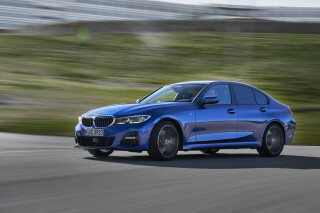 Fast rack-and-pinion steering permits an exacting left-right-left maneuver through turns, as big stabilizer bars fore and aft in the responsive double-wishbone suspension system prevent excess body sway and add integrity to the coupe's stability. The four disc brakes of the Accord EX link to an anti-lock system that produces straight-line stops and also permits braking while still turning for maximum control. 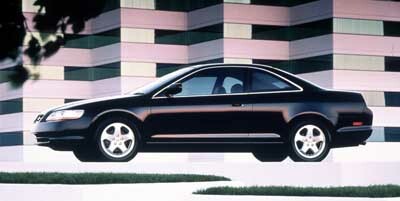 The Accord coupes are offered in LX and EX trim. The LX contains a long list of luxury features, including power equipment for windows and door locks, but the EX variation goes further by adding power-operated height and lumbar adjustments to the driver's seat, a compact disc player keyed to six stereo speakers, electric trunk release and automatic cut-off for headlamps, plus the four disc brakes with anti-lock controls and an option of leather seat upholstery. 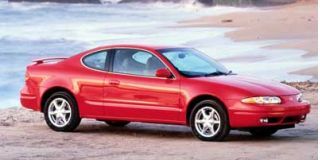 Expect to pay a minimum of $18,805 for an LX coupe, $21,315 for an EX (destination included; add another $3,415 if you want an EX with a V-6 engine). And expect your pulse to go quicker than in your old Accord, because this one’s ready for fast moves.